We visited Joshua Tree NP and took a long drive into the desert to get a remote photo of the desert that I grew up in. 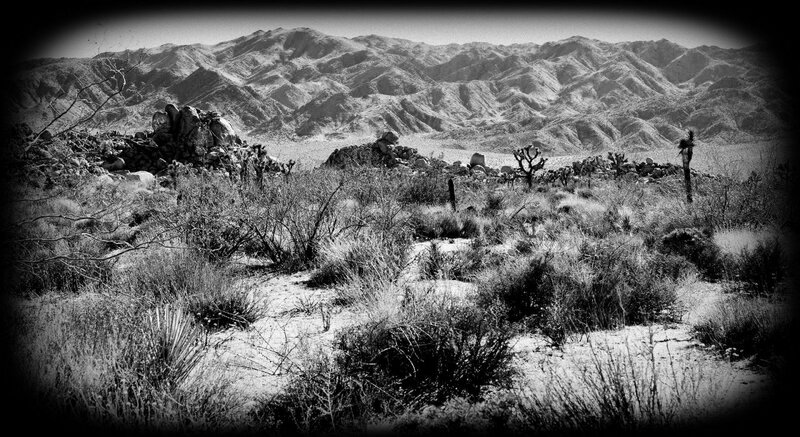 I added the heavy border to help frame the mountains, yes we do have them in the desert, and converted to b&w to give it that old west feel. Your treatment makes it look like someone took the photo in the 19th century. Nicely done. Thanks for saying that, the look I was looking for, way back in the day of Cowboys and Indians. There must of been a lot of disappointed people that came from the East with all the green landscapes and traveled through our deserts, tough people I would think. 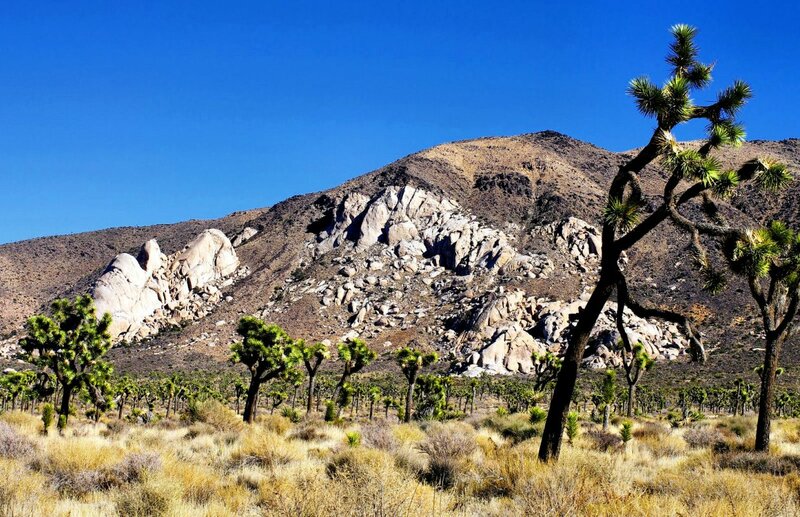 When I was a little boy, I listened fairy tales and there was strange word "Mojave Desert, Joshua Tree". Bob, I'm with trepidation looking at these pictures of those places. A group of Joshua Trees and one in bloom. the area is the same, but I sure aged. Gorgeous as always Bob. 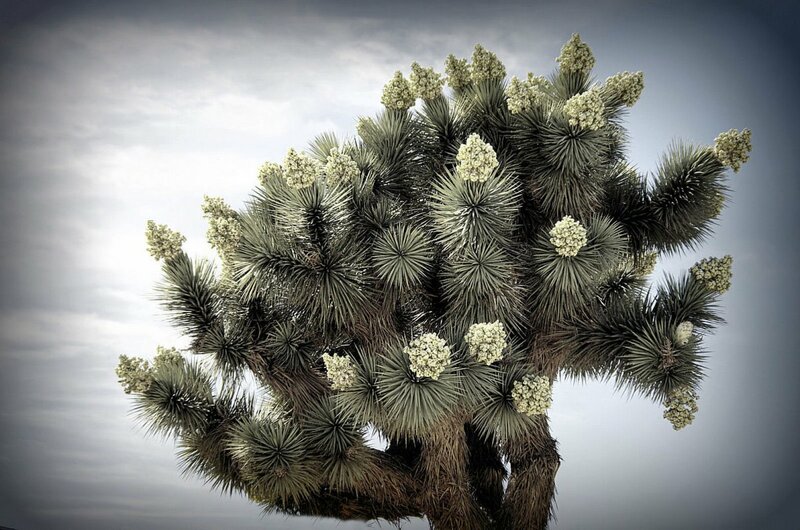 The last one of the Joshua tree in bloom is spectacular. I rather like the first photo also, I can almost see John Wayne and a wagon party crossing in the valley. Glad you enjoyed a view of our backyard. The first image almost looks like an IR image. It was really a healthy tree and full of blooms Susan. A different scenery than we here are used to seeing. Well executed shots. thanks Tony, our desert has a special beauty to it.